About a year ago, I was watching PTI and Tony Kornheiser and Michael Wilbon were talking about when the next 300-game winner in baseball would be… and the conclusion they reached is that there would be no more 300-game winners. There are no current pitchers anywhere near 300 wins and we had seen the last of the 300-game winners because teams use their bullpens more and pitchers don’t pitch as many games as they did in the old days, and thus don’t get as many decisions. That talk always gets the gears in my brain cranking, so I looked into it, and discovered that they were right, there were no current pitchers (other than Jamie Moyer, who quickly retired this year) remotely near 300 wins. But, there would NEVER be a 300-game winner again. NEVER? Because it’s impossible now, with pitchers starting fewer games, getting fewer decisions and bullpens being used more heavily. Now, I look at some numbers, and I strongly disagree with the PTI guys. I simply don’t think you can say it will NEVER happen, in fact, there are three, maybe four active pitchers who have a shot at 300 wins … and in fact, one of them has a very, very solid shot at 300 wins. If anyone gets to 300 wins, it won’t happen for at least another 7 years. Niekro was a knuckleball pitcher who pitched into his late 40s, so this one is a bit of a cheat because knuckleballers don’t tend to decline in their 40s like regular pitchers. Still, he didn’t become a starter until the age of 25 and won over 200 games after the age of 35. Perry won 191 games over a 10-year stretch after the age of 30. He pitched in an era (the 1960s and early 70s) in which starters got 35 to 40 starts and 35 decisions or more every year. Like Perry, Wynn won a ton of games in his mid- to late-30s. He won 188 games over 10 years after the age of 30, and was making 35 to 40 starts a year (in the 1950s), with 30 or more decisions almost every season. I included Clemens only because he pitched in an era in which pitchers started 30-35 games a year and almost always get fewer than 30 decisions a year, but still went well over 300 wins. His career had begun to wind down at 33. Over the past four years, he had only won 40 games and had a middling 40-39 record. After the age of 34, he won 149 games over the next eight years. In not one of those 8 years, did he have more than 28 decisions. That’s important to remember. Johnson’s career to me is the best barometer that you can NEVER say no one will EVER get to 300 wins again, PTI guys! Johnson only had 104 wins at the age of 32 and was coming off major, potentially career-ending back surgery. He went on to win 176 games over the next 10 years, in an era in which he was only starting 30-35 games a year. He never once had a year in which he had more than 30 decisions. To be fair, Johnson, who was never implicated in juicing, did pitch in an ERA in which PED use was rampant, so you have to honest that PEDs may have played a role in his longevity. Today, players cannot get away with the same PED use due to testing. Sabathia definitely has the best chance to get to 300 wins. In fact, PTI guys, I personally give him a 50-50 shot. He is only 31 and 109 wins short of 300. He plays for a big-money team (the Yankees) that scores a lot of runs, so he can tally double-digit win totals even when he has down years. This year, he won 15 games even though he spent some time on the DL. If Sabathia stays healthy, and he does not have a history of injuries, all he has to do is average 13.6 wins a year for the next 8 years (pitching until he’s 39) to get to 300. That’s very, very doable. 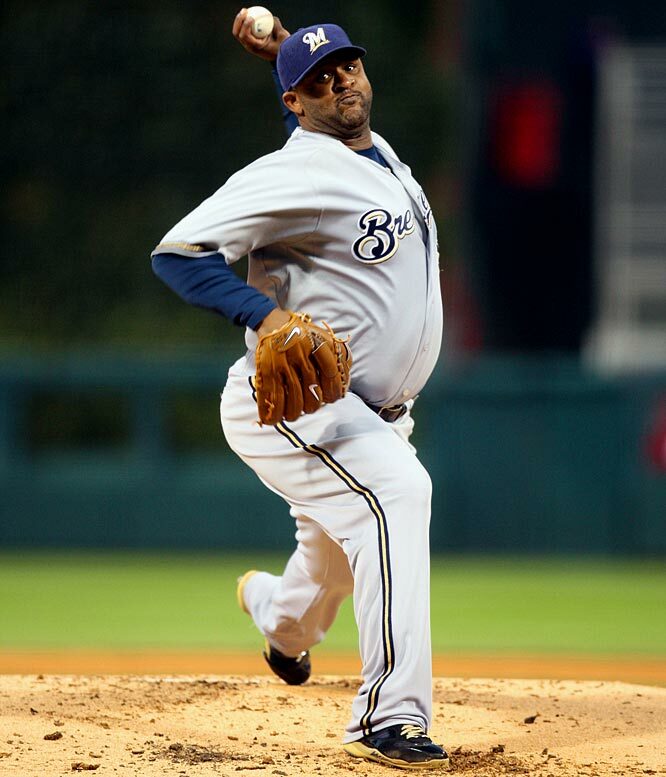 Sabathia has averaged nearly 16 wins a year over his 12-year career. 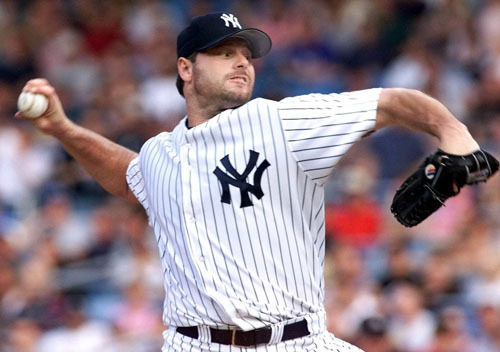 Sabathia’s win pace is well ahead of Randy Johnson, Clemens, Wynn, Niekro and Perry. Seriously, I really think he has a very solid shot at 300 wins. You definitely cannot say he will NEVER get there. 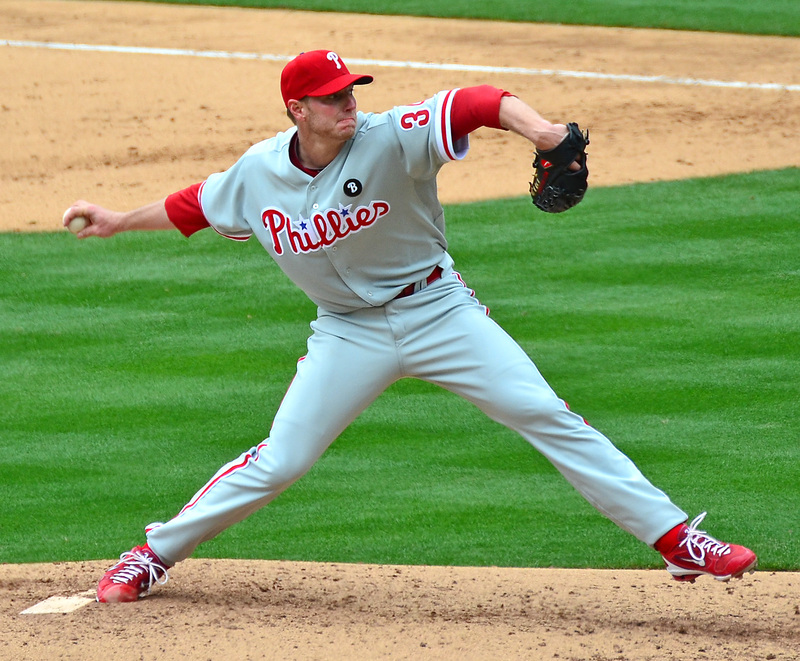 Halladay’s chances took a hit this season because he was hurt and did not pitch particularly well. He only won 11 games and his ERA was around 4.50, but he still sits at 199 wins at the age of 35, which makes him a legitimate candidate for 300. He would have to win 101 games over the next 7 years (pitching until the age of 42), averaging 14.4 wins a year. Basically, he’d have to start 200 games over the next 7 years and win approximately 50 percent of his games. That’s doable; it’s certainly not impossible (look at Randy Johnson). But, I suspect it’s unlikely Halladay gets to 300. He has had a history of injuries and has lost two or three seasons as a result. He has to stay healthy to have a shot. It’s still somewhat early in Verlander’s career, but at age 29, his win total (124) is well ahead of Wynn, Perry and Niekro and WAY ahead of Johnson. 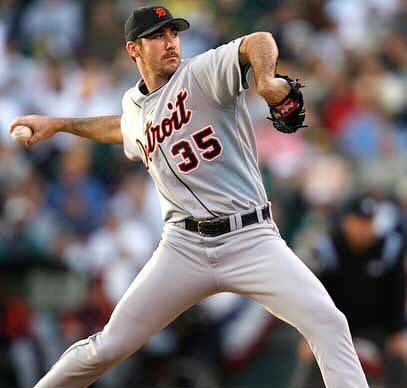 Verlander would have to stay healthy for a while. 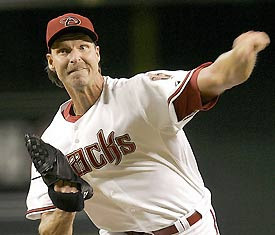 He would have to win 176 games over the next 12 years (pitching until age 41), for an average of 14.7 wins a year. Very doable considering he has averaged 15.5 wins a year in his career so far, but let’s check back in 5 years. I was actually surprised he has 174 wins. I’ve barely heard anything about this guy other than he has pitched a perfect game. But since he’s still just 33, I felt I needed to mention him. I think it’s very, very unlikely Buehrle gets to 300 unless he revitalises his career. Buehrle won a lot of games early in his career — he had 85 wins by the age of 26, but he has only won 89 games over the last 7 years (12.7 wins a year), and has won 13 games every year for the past four years and has won more than 16 games only once in his career. He would have to pick it up to get to 300. He needs to win 126 games over the next 8 years — 15.8 wins a year — to get to 300.